With a chemistry major or minor, your possibilities are limitless. 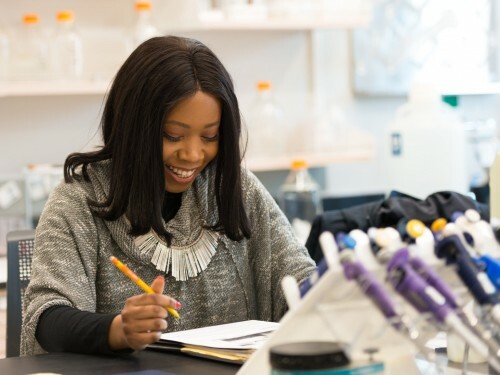 Whether you want to study the field at the graduate level, work in the chemical or pharmaceutical industries, or gain a firm foundation for a career in the health professions, our chemistry department is the gateway to your best future. 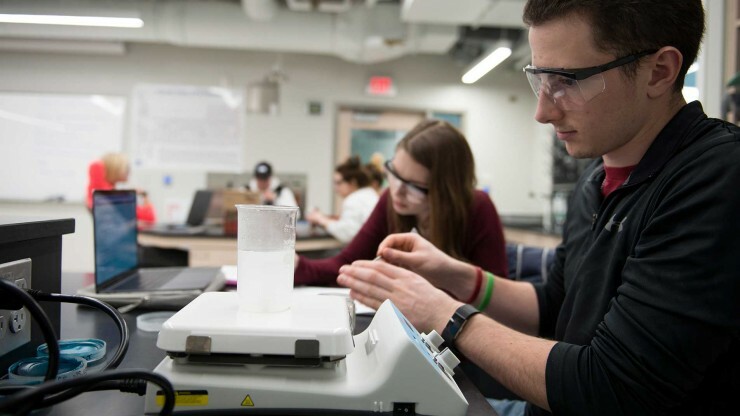 Chemistry majors will understand the core principles of chemistry and be able to communicate their knowledge in the field through both writing and speaking. 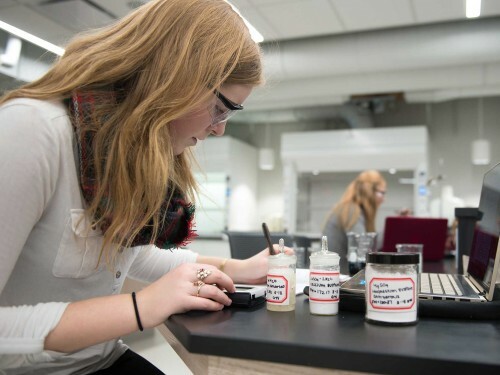 Students may choose to concentrate in traditional chemistry, biochemistry or neurochemistry. 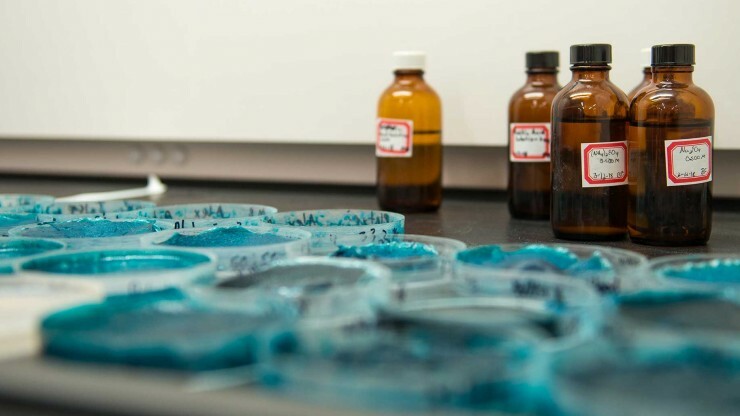 Having a degree in ACS Chemistry is valuable to those hoping to pursue advanced degrees. Students seeking to teach chemistry must also fulfill requirements for a major in education. Neuroscience studies how the brain and nervous system acquire, process and integrate information from the environment and how this information brings about behavior of an organism. Biochemistry surveys the chemistry and biology of the fundamental molecules of life: carbohydrates, lipids, nucleic acids, amino acids, proteins, enzymes, vitamins and cofactors. Neurochemistry studies the chemical and biochemical aspect of neuroscience including ligand binding, pharmacokinetics and second messenger cascades. 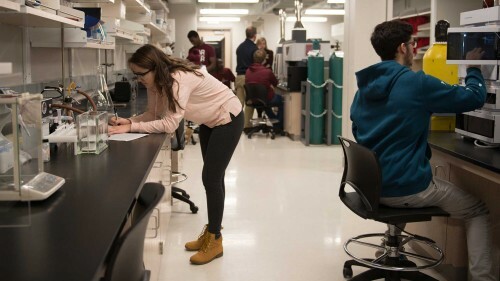 Faculty and students working together on research is a hallmark of Concordia's science programs. 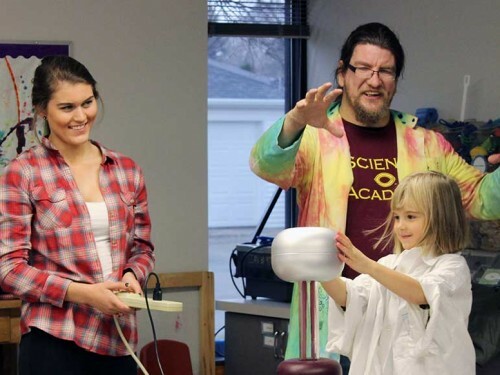 Run by faculty and students, this outreach organization is dedicated to creating excitement about STEM disciplines in children and teens throughout the region. Designed for "learning science by doing science," the Integrated Science Center opened in Fall 2017. The Chemistry department is home to a selection of state-of-the-art analytical instrumentation. These instruments are incorporated into a number of laboratory courses as well as seeing extensive use in faculty research programs. The laser facility is available for both research and coursework by Concordia's undergraduate students. Research areas include noisy light spectroscopy and halogen bonding investigation. Students earn academic credit for doing internships at medical facilities, laboratories and businesses. 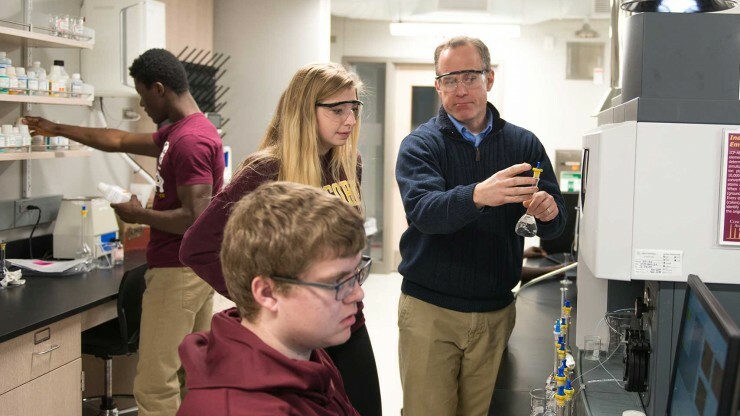 The American Chemical Society selected Concordia’s program a national model for combining learning and work experience. 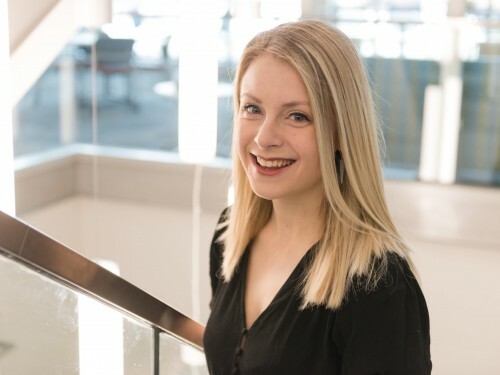 A pre-med student graduating with honors, Mikaela Herberg ’19 manages to be highly involved on campus and keep her relationships at the forefront. Intelligent and quirky, she has found a balance of both working and playing hard.